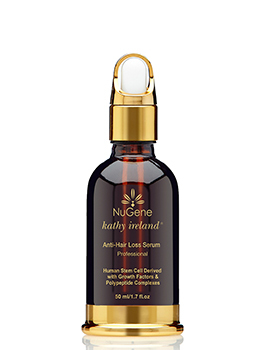 Kathy Ireland's NuGene Anti-Hair Loss Serum is formulated to give hair the boost it needs while helping to reduce and prevent further hair loss. 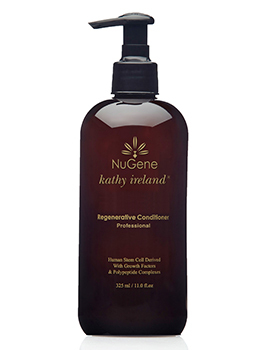 Kathy Ireland's NuGene Regenerative Conditioner is formulated to add smoothness, strength & shine to hair. Hair follicles that produce less growth factors and cytokines can lead to thinning and hair loss. 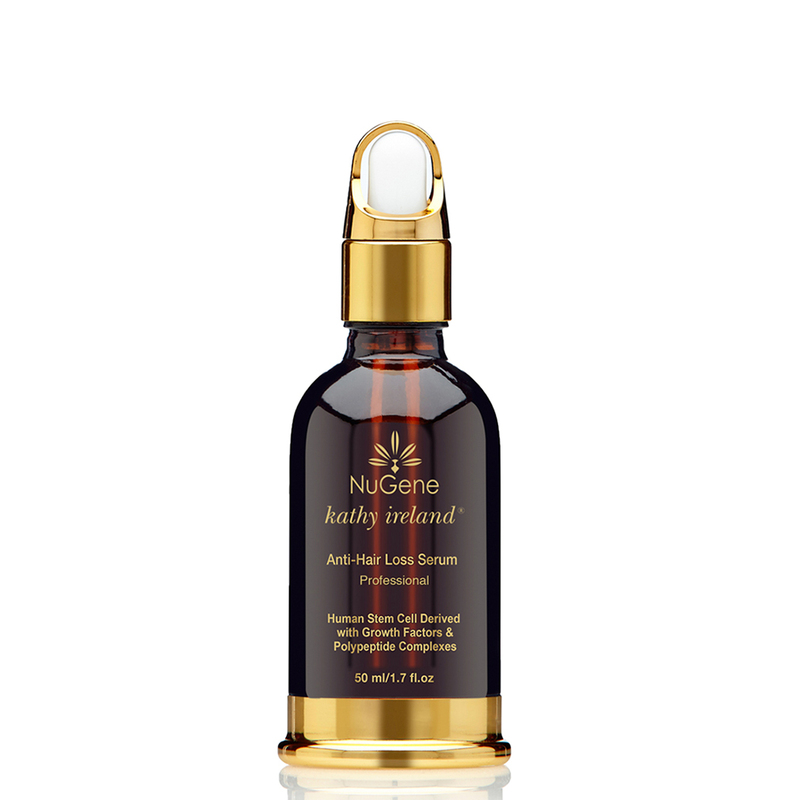 Nugene's stem cell based patent-pending technology replenishes the hair follicles with essential growth factors to reduce and prevent further hair loss, as well as to stimulate follicular regeneration. Directions: Apply 3-4 drops to the scalp every morning and evening. Massage thoroughly until completely absorbed. For best results use in conjunction with NuGene Regenerative Shampoo and Conditioner. Directions Shampoo: Apply 2 pumps to hair and scalp daily. Massage into wet hair, lather and rinse thoroughly. 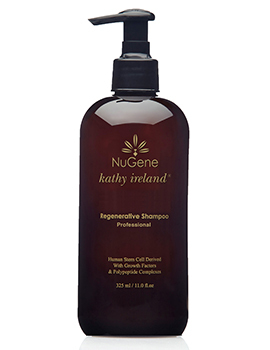 Directions Conditioner: After cleansing with NuGene Regenerative Shampoo, apply 1-2 pumps of NuGene Regenerative Conditioner and massage thoroughly until completely absorbed. Rinse with lukewarm water.